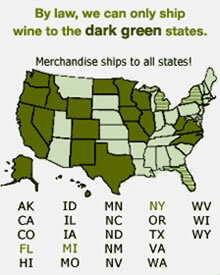 Need a gift for a wine lover, but don't know what they like? We have the perfect solution. Our online gift certificate lets your wine-loving friend select their any wine they like from our curated portfolio of artisanal producers. Works just like cash - good towards wine, shipping, and tax. Your gift certificate will be emailed within 24 hours of payment.